A discrete and hygienic solution. 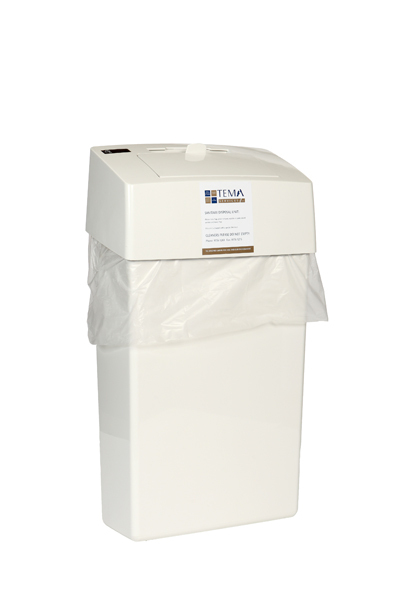 Femcare sanitary disposal units available in touch free or manual options. All bins are supplied and serviced with ‘biosan g’ a powerful odour controller and anti bacterial agent.